I cannot believe I am sitting here with packed boxes beside me ready for university and my trip to South Africa finished 3 months ago. The 8 weeks I spent out working with the monkeys were the best weeks of my life! After a 12 hour plane journey I arrived in Johannesburg and as I waited for the tiny propeller plane to take me to Phalaborwa, reality kicked in that I was no longer in my comfort zone. I was in fact in a brand new country about to meet a load of new people and experience something completely different. On arrival at Phalaborwa I was met by one of the centre’s supervisors and was lucky enough to not be the only volunteer to turn up that day. 2 other girls were with me as we arrived and a 4th lady was there who had arrived via bus from Johannesburg and we were all taken round on our induction together. It was nothing like how I had imagined, it was bigger and way more animals than I thought, which just made it that much better. The dorms, showers and toilets were just as I had thought they would be and the thought of taking a night shower under the stars seemed brilliant. The first couple of days definitely took some adjusting to as I began to get to know the timetable for the day. 3 groups took it in turn on a rota as to who would bottle feed the babies, who would prepare the food in the afternoon and who would go harvesting and monitor. Every volunteer needed to be up by 6.45 or 6.30 if they were bottle feeding, and chores would begin at 7 until 9 am when we would have breakfast. Chores consisted of cleaning cages or preparing food. After breakfast we would continue with jobs until 11.30 when we would take the baby baboons to the pool, possibly the best part of the day. It is amazing how all of these little guys get so excited and know exactly where they are going and most of them, with the exception of the odd few, were well behaved for the walk down, most of them fighting over who got to hitch a lift on the volunteers. Lunch would be at 1 and after 2 most volunteers were able to have baby time, this consisted of going and sitting in either the baby baboon or the baby vervet cage and just getting to play and interact with them, it was brilliant. From 4 until 6 it was free time and volunteers were able to go and shower in order to wash off the dirt, wee and poo they had collected on them throughout the day. 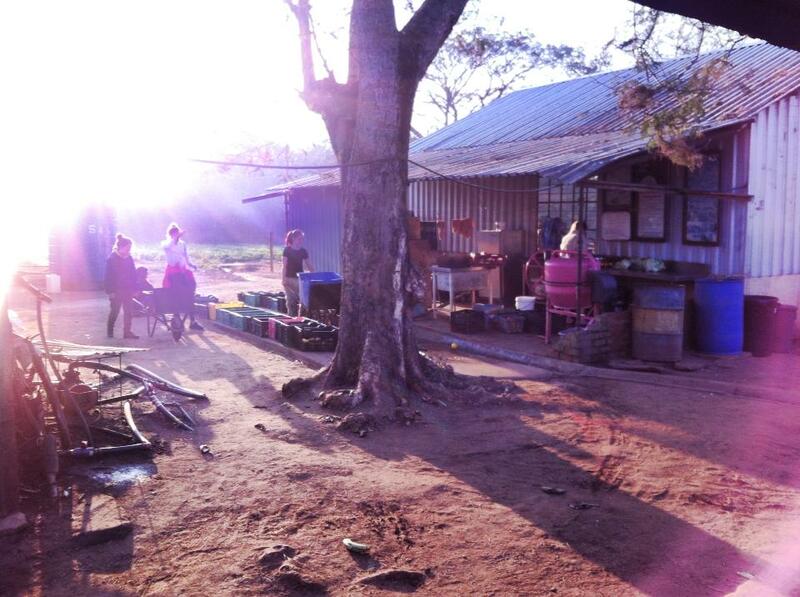 At 6pm we would all sit around and tuck into a delicious meal, home cooked by one of the owners. Lynne and her husband and fellow owner Bob would sit at the head of the table, just like a family, and he would then go on to tell us stories and have banter with the volunteers. He could shout loud but he was harmless. It was inspiring sitting around and listening to the stories he would tell us and nobody could come away not knowing how passionate this guy was for his monkeys, his centre and his volunteers. Bob and Lynne are both real heroes to the animal world. I was lucky enough during my stay to go to the site where the next vervet group would be released and help clear trees to put up the temporary cage. It was hard work but definitely worth it and I left with a newfound respect for Bob, Lynne and the past volunteers they have had helping them with previous releases. I never would have known how much time and effort goes into a single release. There are no criticisms I could possibly think of about my trip, I miss absolutely everything about it, the outdoor showers, the baboons noises at night, the amount of different people I met and spent my days with and possibly my favourite part of the day, sitting on a log, right in front of the semi-wild baboon enclosure which held the troupe which will be released next year and just being able to watch the adults go about their daily lives. It was also lovely seeing the babies to be born in this troupe able to spend their life with their families, something that the rest were robbed of at such a young age. It was amazing going from taking the smallest baboon baby to the pool to be able to sit and watch the big alpha Peter knowing that the babies would one day be in that enclosure ready for the next step of their lives. It really highlighted the work you were doing, every early morning rise, every wee taken on you by a baby, every backache you would get from cleaning the cages, they were all completely worth it. If anybody is considering taking part I would thoroughly recommend it, on top of the wonderful time I spent at the centre I was also lucky to take part in 2 excursions, the first a day long trip around the neighbouring areas to see some lovely sights and the second a 3 day trip to Kruger National Park. I wish the centre the best of luck for the future and hopefully one day I will be back! 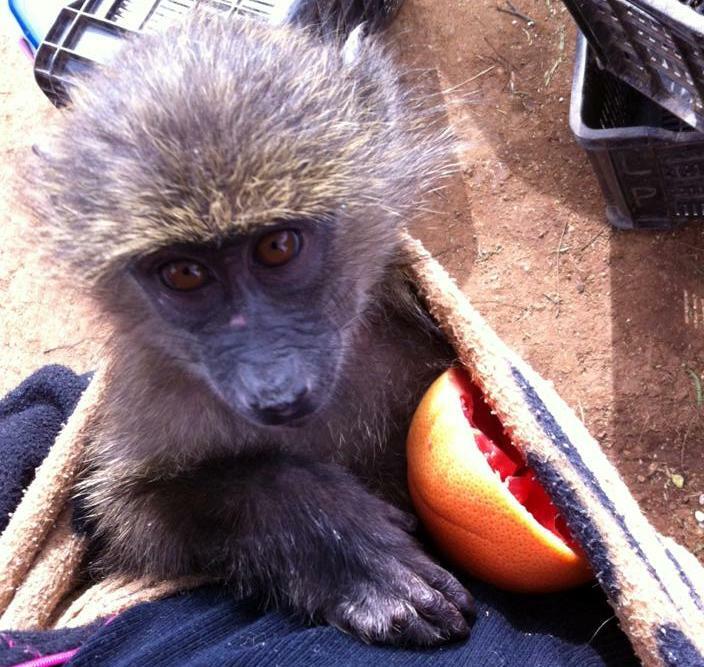 For more information about this volunteer project, see the Oyster Worldwide monkey rehabilitation page.